Click here to view Bette's Liturgical Wake Service. Click here to view Bette's Mass of Christian Burial. Bette E. McGarry, 90, of Aberdeen, passed away Friday, April 5, 2019, at her home. Mass of Christian burial will be 10:30 a.m., Monday, April 15, 2019, at Sacred Heart Catholic Church, 409 3rd Avenue SE, Aberdeen, with Father Patrick Grode as celebrant and Father Mark Lichter con-celebrating. Schriver’s Memorial Mortuary & Crematory, 414 5th Avenue NW, Aberdeen is in charge of arrangements. Visitation will be 5-7 p.m., Sunday, at the mortuary, with a liturgical wake service and rosary beginning at 7:00 p.m. Visitation continues one hour prior to Mass at the church on Monday. Family and friends may sign Bette’s online guestbook and also view her service via the live stream service link at www.schriversmemorial.com. Memorials are preferred to Sacred Heart Catholic Church in Aberdeen. 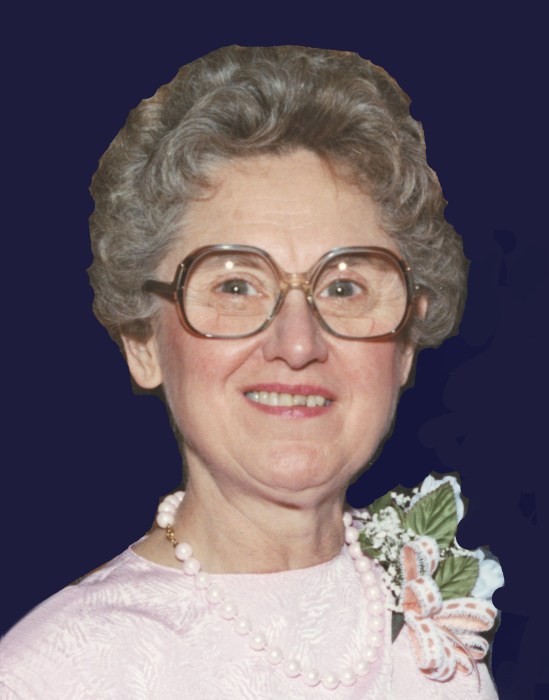 Bette E. Donovan was born February 22, 1929, to Ed and Freda (Himes) Donovan in Hecla, SD. This is the area where she was raised and attended school. Following graduation from Hecla High School, Bette furthered her education at Northern State College in Aberdeen. Bette was united in marriage to Robert G. McGarry on June 17, 1950, in Hecla. Their union was blessed with three sons and two daughters. The family made Aberdeen their home, where Bette loved being a wife, mother, and homemaker. After their children were grown, Bette began what would become a 30-year career with Malchow’s Home Furnishings, working from 1974 until 2005, when she retired. She and Robert shared 40 years of marriage before he passed away on September 13, 1990. Bette continued to reside in Aberdeen until the time of her death. Bette was a woman of great faith. She was an active, life-time member of Sacred Heart Catholic Church in Aberdeen, where she served as Eucharistic Minister, Lector, and member of the Altar Society. Bette also was instrumental in starting the Rosary Group and the Light of The World Prayer Group. Blessed to have shared in Bette’s life are her children: Tim (Nancy) McGarry, Dennis (Cathy) McGarry, Pat (Karri) McGarry, Kathy Dreis, and Ann (Milo) Glatt, all of Aberdeen; 13 grandchildren; many great-grandchildren; one great-great-grandchild; three brothers: Jerry Donovan of San Marcos, CA, Joe Donovan of Hecla, SD and Bill Donovan of Rapid City, SD; as well as many nieces and nephews. Bette was preceded in death by her husband, Robert; her parents, Ed and Freda; one brother, Bob Donovan; one sister, Shirley Holt; one son-in-law, Art Dreis; and two great-grandsons, Liam and Donovan McGarry.